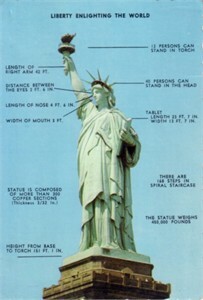 Slightly oversized color postcard of the Statue of Liberty likely produced in the 1960s. Has scalloped edges. Has minor wear. ONLY ONE AVAILABLE FOR SALE.